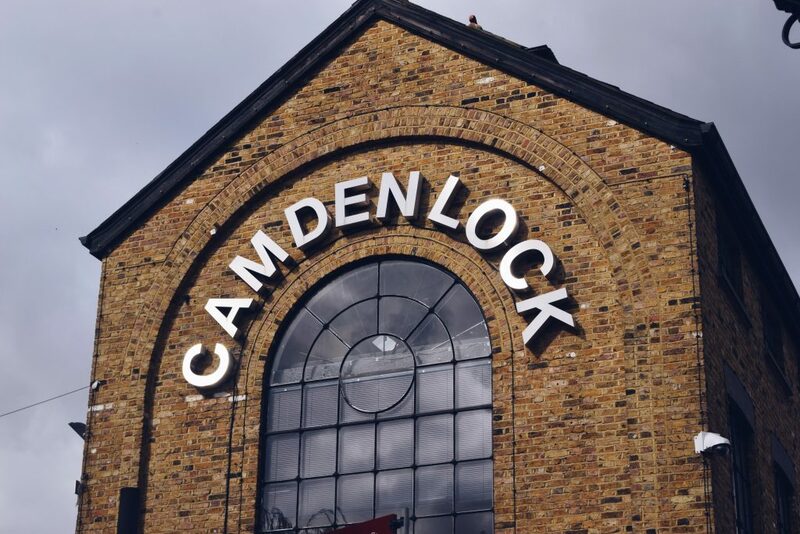 From vintage to futuristic, artistic, funky, grunge, pop culture to street smart Camden town in a word is nothing but Avantgarde, with a diverse and eclectic mix of creative souls it is unarguably one of the most busiest and bustling London boroughs. 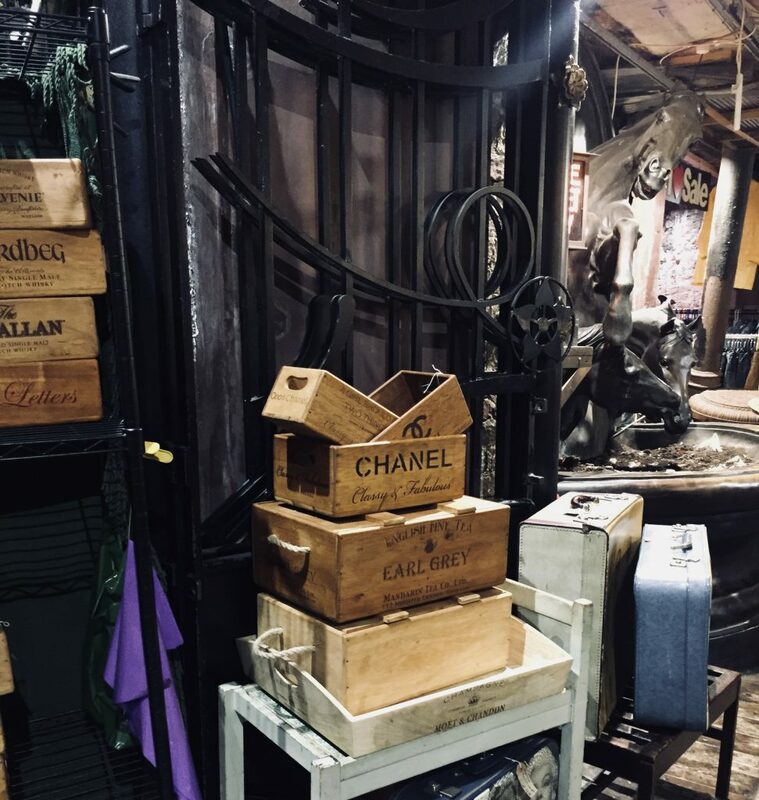 If the fashion scene was not enough the food scene is equally epic here, with a vast variety of cuisines available there is something for everyone. 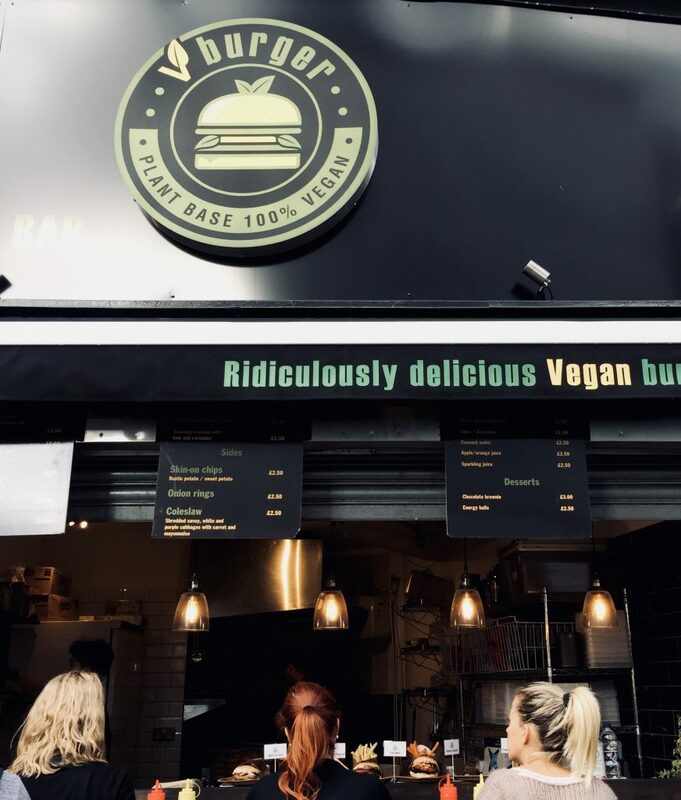 Good vegan food is always difficult to find but I have to say we had the most delicious and amazing vegan burgers at V burgers situated near Camden Lock place. 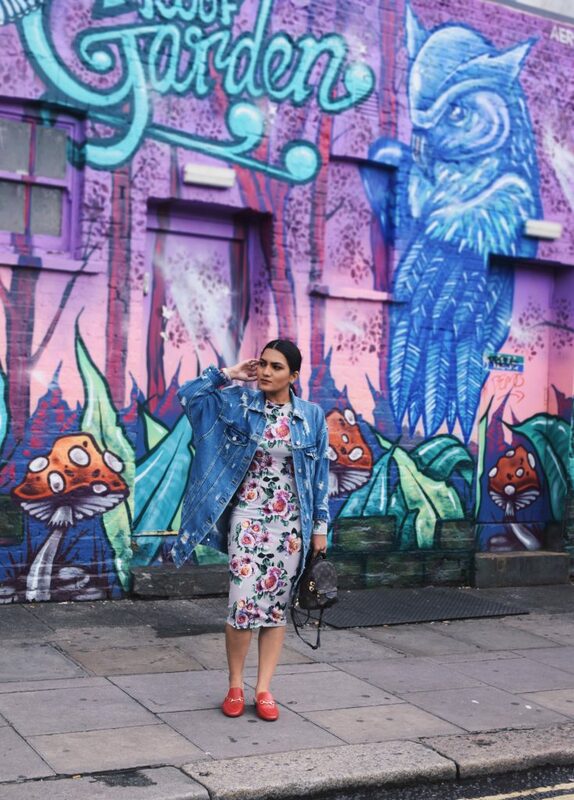 About my outfit, before talking about that lets give a moment to the artistically vibrant street art behind me. 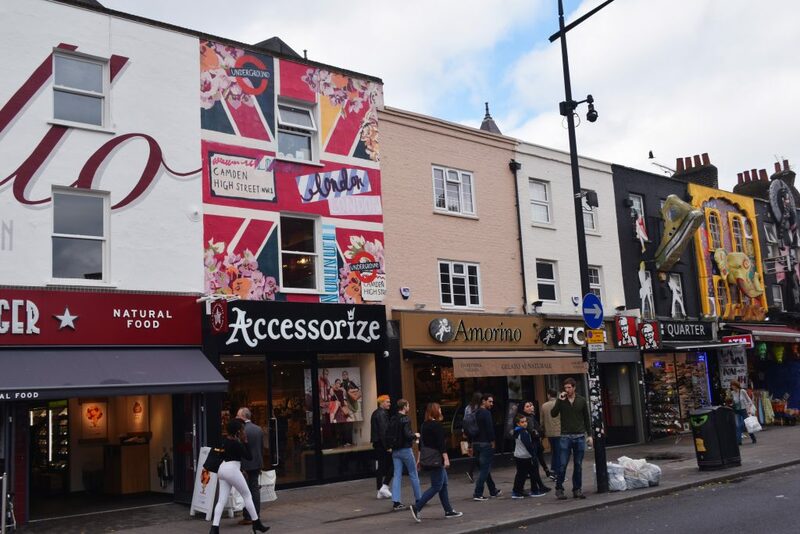 While I was under the impression only Shoreditch was the place to look out for street art, this particular wall art took me totally by surprise. 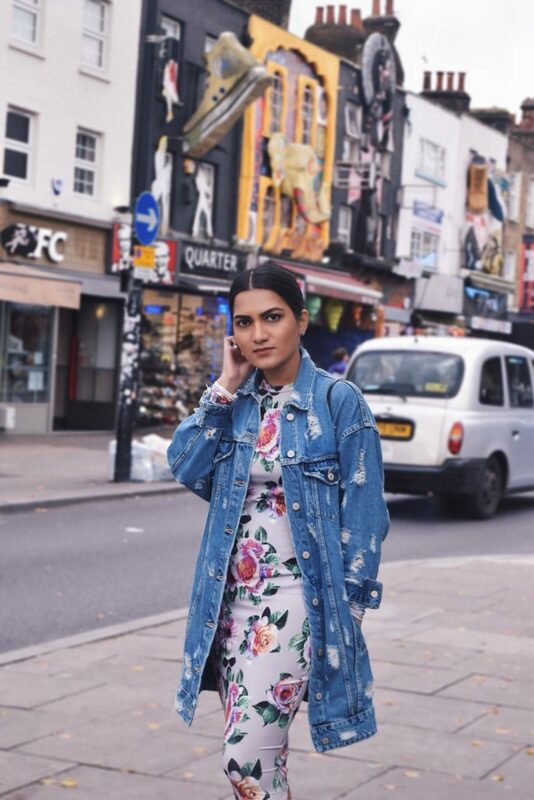 Not to mention it matched my outfit perfectly, inspired from the beautiful colours of the town I had opted for floral printed midi dress and layered it with a denim jacket. Keeping my hair pretty simple and sleek pairing it with oversized frames I completed the look with bold red footwear and my Palm Springs mini backpack. Incidentally that’s a lovely dress 🙂 Am going to be in London a week from now. 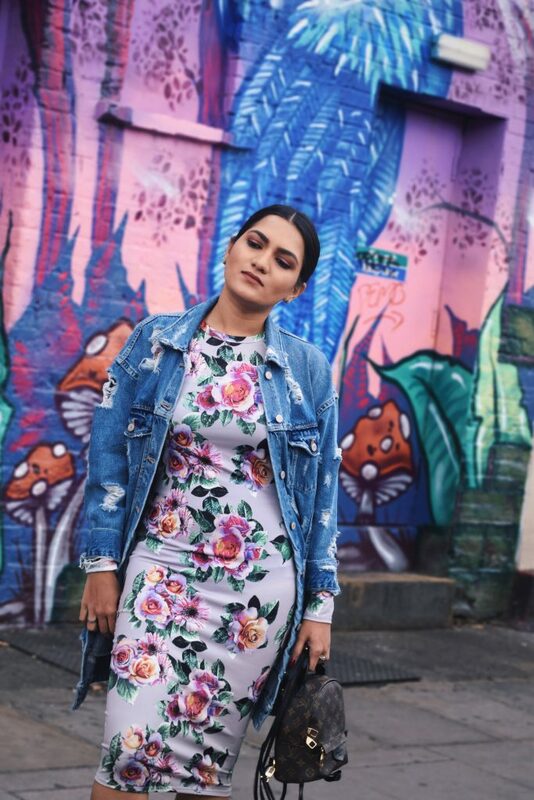 Could you please recommend a couple of nice stores to shop for dresses & even formal wear. Not budget/not super expensive either. Will be in and around Chancery Lane but can take the tube. 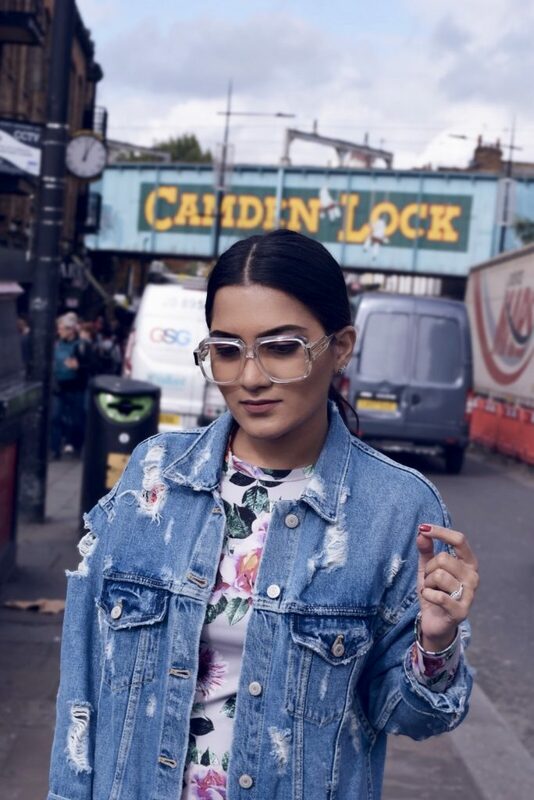 Hi Sandhya, You can check stores at Oxford/Regent Street. I think there are a few fashion stores around Chancery Lane.